FREE UK Delivery on book orders dispatched by Amazon over £10. Dispatched from and sold by Amazon. Gift-wrap available. Ancillary Mercy is the stunning conclusion to the trilogy that began with Ancillary Justice, the only novel ever to win the Hugo, Nebula, and Arthur C. Clarke Awards. For a moment, things seemed to be under control for Breq, the soldier who used to be a warship. Then a search of Athoek Station's slums turns up someone who shouldn't exist and a messenger from the mysterious Presger empire arrives, as does Breq's old enemy, the divided, heavily armed, and possibly insane Anaander Mianaai - ruler of an empire at war with itself. Breq could flee with her ship and crew, but that would leave the people of Athoek in terrible danger. Breq has a desperate plan. The odds aren't good, but that's never stopped her before. The Imperial Radch trilogy begins with Ancillary Justice, continues in Ancillary Sword and concludes with Ancillary Mercy. Also available now: Provenance is a stunning standalone adventure set in the same world as Ancillary Justice. NPR calls it 'A fitting addition to the Ancillary world'. Start reading Ancillary Mercy on your Kindle in under a minute. 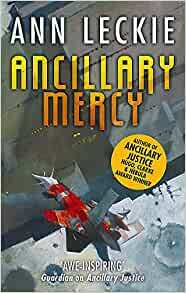 Ancillary Mercy is the thrilling final volume in Ann Leckie's space opera trilogy which began with the only novel to ever win all three of science fiction's biggest awards: the Hugo, Nebula and Arthur C. Clarke winner Ancillary Justice. Breq, the former starship AI-turned-military-officer, has secured the Atheok system and plans to wait out the civil war raging between the fragmented selves of Anaander Mianaai whilst investigating the ongoing mysterious events in the neighbouring Ghost system. But events will not wait for Breq and she soon discovers that the fates of everyone in the Atheok system may depend on what she does next. Ancillary Justice was a refreshing, smart and interesting science fiction novel. Its sequel, Ancillary Sword, was a major letdown, a work that sprawled and felt at times that the author wasn't sure what direction to take the story. Ancillary Mercy, which concludes the trilogy, ranks somewhere inbetween. This is definitely a more directed, more focused work that rounds off the thematic elements of the trilogy more or less satisfyingly, but on a more prosaic plot level is less impressive. On the character side of things, Mercy crystallises when Justice did so well and Sword occasionally struggled with: the interrogation of self, identity and self-realisation. Breq is a creation of the Imperial Radch, but she is not Radchaii and can view their culture from both outside and the perspective of one of its servants. The Radchaii believe they are civilised, but they are also intolerant and imperialistic, stamping their identity on the civilisations they encounter. They are baffled by the idea of ethnic and religious differences amongst their more newly-conquered subjects and resort to violence a little too readily. Breq - ironically - is a humanist who abhors violence when it can be avoided and seeks understanding and diplomatic resolutions to crises, which confuses a lot of her supposed "fellow" Radchaii. This internal cultural examination is successful, but ultimately doesn't expand much beyond what we learned back in the first novel: the Radchaii should chill out and stop killing people, basically. Much more interesting is the examination of the nature of identity and the interrogation of the nature of both Breq and the other AIs. This leads to a bit of an unexpected plot twist that satisfyingly helps tie up the story at the end of the book. That story, however, is not the story that many readers thought they were reading about: the war between the Anaander Mianaai clones. This doesn't really end or peak in the book, and carries on after the novel ends. On a thematic level this is quite understandable: the war has been going on clandestinely for a thousand years, so it being wrapped up neatly in three books covering a couple of years is unlikely. On a plot level, however, it can't help but feel that Leckie has left plot hooks dangling for future books (and more novels in the Radch setting are forthcoming), which is fine but feels perhaps a little disingenuous for a series marketed firmly as a trilogy. At the end of the book there's a big climax and a smart and clever ending which makes the trilogy certainly feel worthwhile. It's an interesting, thought-provoking series. But it's also one that feels passive and inert for a lot of its time, with a huge amount of important stuff going on behind the scenes or resolutely off-page. It can make for a series that's hard to love but easier to admire and respect: Leckie is dealing with a lot of ideas here and doing so in a manner that's often quite subtle. Ancillary Mercy (***½) is a worthwhile, humanist finale to the Imperial Radch trilogy, but it isn't the grand, epic and stirring ending that I think some people were expecting. It is available now in the UK and USA. Provenance, the next novel in the Imperial Radch setting (but not a direct sequel to this trilogy), will be published on 26 September 2017. 5.0 out of 5 starsA good conclusion to the trilogy. A great conclusion to what has been an excellent trilogy. After reading I went right back and read the whole series through again, as usual with most good authors I picked up a lot more on the 2nd read through. These three will join my library of books I expect to re-read several times. If you like Iain M Banks I would say you will like these - thought provoking rather than "all action" sci-fi, but lots of different ideas and concepts. However please note - this book needs to be read as part of the trilogy, it' would be difficult to make sense of it without having read the other two. This continues to build on the themes of the previous two novels in a clever and engaging way. Similar to before it's very much a character piece with more focus on relationships than the occasional brief bursts of action. The continued use of the female pronoun, but linked to 'sir' mixes up gender in a way that is slightly unsettling. There's never any attempt to explain this or any of the intensely ritualised behaviours that characterise the society. Likewise the 'alien' comic relief is both familiar and profoundly different. There's just enough sense of menace under the bumbling exterior that the reader is left never quite sure whether she'll turn distinctly nasty. The fact that I'm left wanting more and that I'm intrigued to find out both the history and where things move from here is praise enough. It's gripping without being edge of the seat stuff. A rare character study in a genre often too stuffed with action. Almost (but not quite) up to Iain M. Banks at his best. High praise indeed! Now time for a cup of tea. This was a good read that brought the trilogy to a very satisfactory end (at least for now). The only flaw for me was part of a big plan took place "off camera" and we never really get to know how success was achived. I guess that is a weakness of writing in the first person but it did feel a bit like the author took the easy way out so as not to have to explain how a difficult task was achived. However that is a relatively minor point and the book is well worth reading. Despite resisting making the ending too tidy this still ties things up nicely to conclude the trilogy. Given my irritation at the growing tendency to produce open ended series I can't really complain, but I'd love to have more books in this universe and id love to follow up on what breq does next. However, as can be seen in this book, the ideas on what it is to be human seem to have been thoroughly explored and any further books would no doubt be more like the standard adventures in space sci-fi novels. (I'd still buy them!). Perhaps she could consider collaborating with another author to continue the franchise. Enjoyed all three books but felt the first was by far the best, the middle one good and the last one is not as engaging. The series did avoid a lot of the technical overkill and obsessive detail you often find overloads scifi / space opera - so overall a good series and well worth a read. 5.0 out of 5 starsThe last book - We Want More! What can one say? 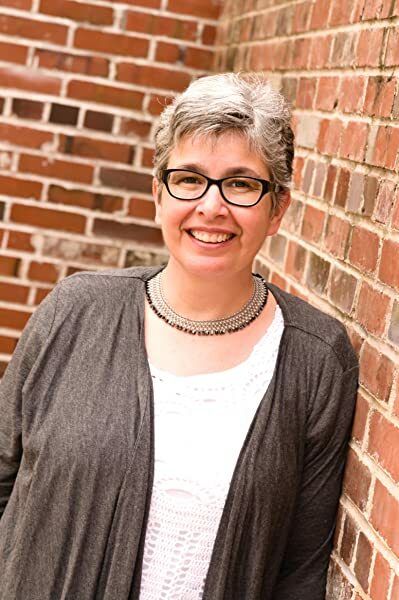 Ann Leckie has finished her Imperial Radch trilogy in style. In the same style, in fact as in the first two books - her lucid prose has never faltered, her characters have kept their integrity even as they have grown. My only gripe is that there are just three books. I want Ann Leckie to write another three, and take these characters to the heart of the Radch, to the Presters and the Rrrrrrrrr, and show us more of her astounding Universe. 3.0 out of 5 starsA worthy read, but lesser that the greatness of the first book of the series. Well written, but with not the same impact as the first book. Few new ideas are introduced, the somewhat exasperating inter character relationships taking centre stage. A worthy read nonetheless.